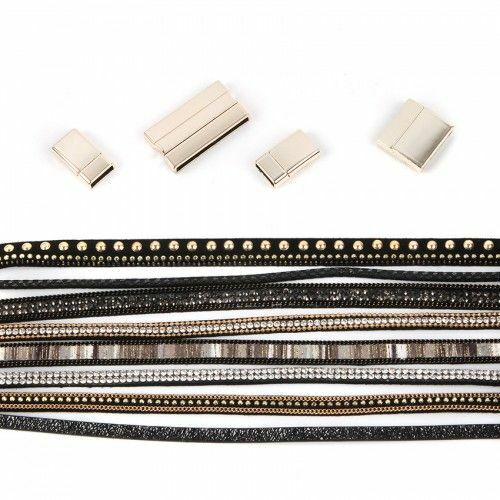 If you are short of time then this Black California multi cord bracelet kit is the perfect quick project. Use your cord wisely to make up to four single or double wrap bracelets that are fastened with magnetic clasps. Ideal for beginners, plan out the combinations of cord you will use and then cut to size (for single wrap the pieces can be cut in half). Use glue to fix the cords into the clasps and once dry they are ready to wear – or why not gift or sell on at craft fairs? Instructions are not provided with this bundle, additional help can be found by following our video project here.